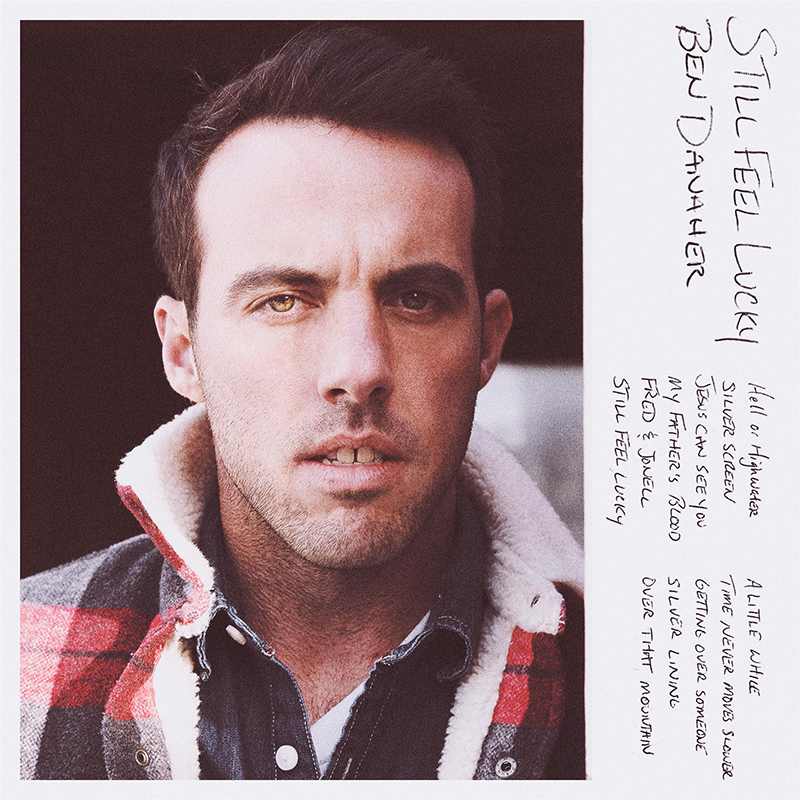 “You can hurt and still feel lucky,” Ben Danaher sings on the title track of his deeply personal debut album, ‘Still Feel Lucky.’ Coming from any other songwriter, it might sound like a simple platitude, but in Danaher’s hands, it’s something far more profound, a moment of true enlightenment in the face of unimaginable tragedy. Years of pain are wrapped up in his delivery, but still he commits to the hope and the beauty inherent in the darkness. It’s a monumental task, but one the Huffman, Texas native handles with a tenacious grace on an album that, despite being born in the fires of struggle and loss, manages to forge its own path toward peace, growth, and even joy. Drawing on the influence of legendary troubadours like Guy Clark, Rodney Crowell, and Townes Van Zandt, Danaher first made a name for himself as a songwriter in Texas before relocating to Nashville. Along the way, he shared bills with Ray Wylie Hubbard, Jack Ingram, Angaleena Presley, Rhett Miller, Travis Meadows, and Amanda Shires, in addition to co-writing songs for Ryan Beaver, Bonnie Bishop, Rob Baird, and Justin Halpin among others. For his own songs, Danaher collaborated with some of Nashville fastest-rising stars, including Maren Morris, on material that blended classic country tradition with modern rock and roll sensibilities. Recorded live and raw with his touring band, ‘Still Feel Lucky’ showcases Danaher’s hard-won wisdom and cinematic storytelling, capturing slices of life with a candid honesty that cut straight to the heart of things. Danaher lost his brother to murder and his father to cancer in short succession, and while many of the songs draw from that well of pain and loss, the music is anything but self-pitying. These are songs of revelation and redemption, reflecting a maturity and an acceptance that can only come with time and perspective. Writing the album was a therapeutic process for Danaher, an opportunity to make sense of the inexplicable, but it was also a chance to respond to the universe with love and gratitude despite all he’s been through.